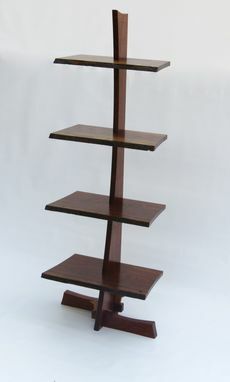 This is a nice accent shelf for any room. 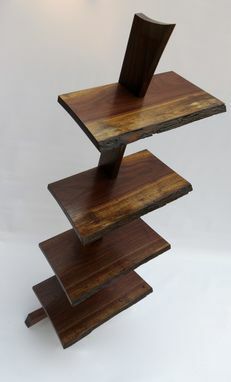 This shelf is made in Black Walnut and the shelves are live edge. The entire shelf is held together with precision joinery so there is no glue, screws, or dowels. This can be made in any wood species and the dimensions are 54H x 18 W.